One of the more controversial figures to align himself with Norman Osborn, largely because of his time spent with the Stark's Avengers prior to and during the Skrull Secret Invasion. 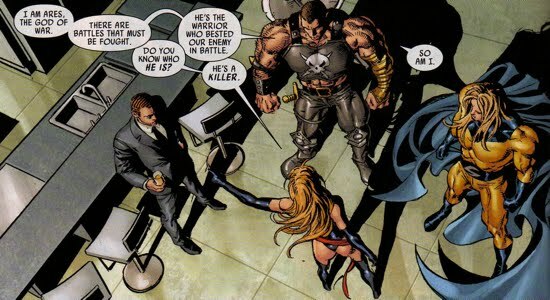 Ares presence on Osborn's team caused Ms. Marvel (aka Carol Danvers) to question his motives. The panel below best describes Ares justification for joining Osborn. For obvious reasons a God of War and Norman Osborn have some commonalities. 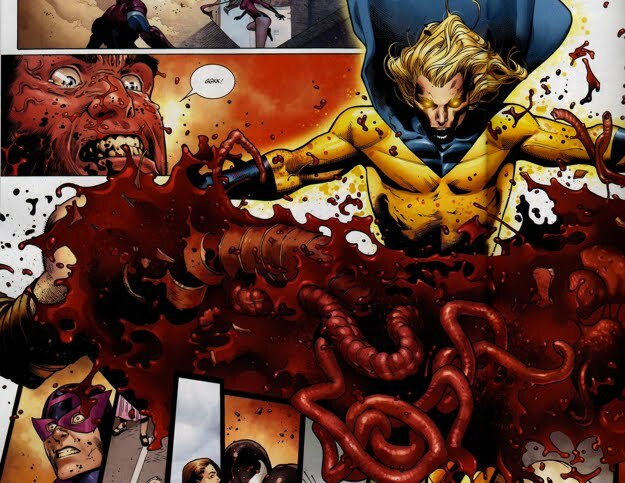 Ares and The Sentry comprised Norman's muscle, although Ares was much more mentally fit for the task when compared to The Sentry. 1. Ares was critical in detaining Bucky-Cap and the Black Widow after they had infiltrated H.A.M.M.E.R. facilities during the original Captain America's re-extraction into the present time. Summarized here. 2. Osborn used Ares to attack the Fantastic Four in an attempt to recover stolen H.A.M.M.E.R. files from Reed Richards. Summarized here. 3. Ares was able to broker a deal between his mother, Hera, and Osborn involving Hera's rolling out of her Continuum product. Osborn was to oversee this rolling out. Summarized here. 4. Ares was also sent, but failed, to detain Bruce Banner (aka the Hulk). Ares was trapped after Rick Jones (aka A-bomb) and Banner whilst tricking the God of War that the Hulk was dead. Summarized here. 5. Ares proved valuable to both Osborn's and Bucky-Cap's Avengers after he utilized the Twilight Sword to kill the Frost Giant Ymir. Summarized here. 6. Ares battled War Machine as well, but soon embraced Rhodes and referred to him as 'his champion'. War Machine and the God of War had more in common than one might think. Summarized here. 7. Osborn charged Ares with the task of training a portion of his H.A.M.M.E.R. soldiers in an attempt to convert them into an elite fighting force. Ares then took his team on a mission to rescue his dying son, who turned out to not be Alexander, rather his son Kyknos. The conflict with Kyknos ended with his death as well as the death of all of Ares' elite squad. 8. 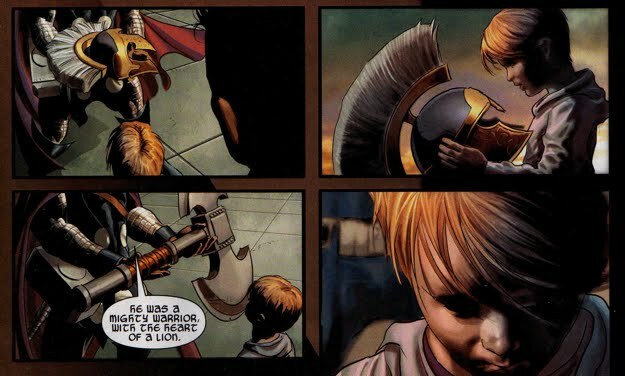 Ares compromised his loyalty to Osborn when it came to his mortal son Alexander, who happened to be a member of Nick Fury's Secret Warriors. After Alexander left Osborn incapacitated, Ares let him have a head-start before going after him. Summarized here. 9. He battled Captain America and Ronin briefly whilst Osborn had Luke Cage in custody, showing loyalty to Osborn against his former allies. 10. In exchange for Fury's vow to keep Alexander safe, Ares also allowed Fury to escape Osborn's custody after Fury extracted the necessary information on Leviathan. Summarized here. 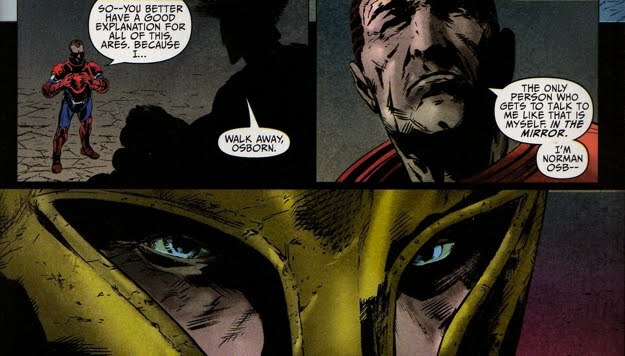 Ares went to war for Osborn during his attack on Asgard, but quickly learned the error of his ways after Heimdall informed him about Osborn's true motivations. Unfortunately for Ares, The Sentry came to Osborn's defense after Ares attacked and tore him limb from limb. Ares 'died' that day, but his return to he mortal plane is inevitable.